Want to protect your ears? Great idea. What do you need? Total silence or just the worst noises cut off? Of course you do want to look good, so no earmuffs. 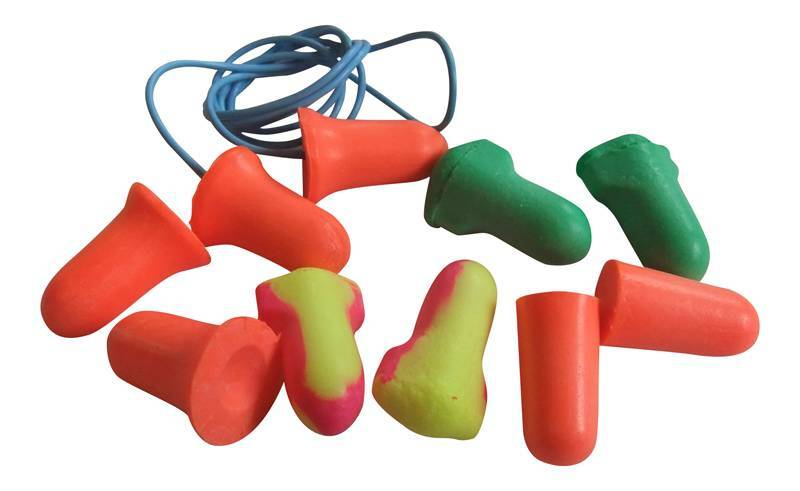 Let us guide you through the world of earplugs: invisible little bodyguards for your ears. Which one is the one for you? At the moment these are the most popular earplugs for music and public occasions, and are available at many music venues nowadays. These usually have special music filters, or -the more pricey ones- changeable protective filters. Their mushroom-shaped layers totally shuts off the auditory canal, but without leaving you feeling like you’re stuck in a vacuum. Also, the music kind of stays alive, with you being protected. Great for concerts. Wax earbuds totally close off your auditory canal. They are soft, sticky, filter noises very well, but also very generally. Not a smart choice if you still need to talk to someone or want to enjoy music. Everything sounds very muffled and they like to stick to your hair. The good news is that they are very cheap. Generally great earplugs for sleeping and swimming. They’re the cheap, famous, yellow, foam, omnipresent and did I say cheap ones? These ones are great for. Ehm, well…. They are there. And they filter sound. They do protect your ears. So great to have with you as a last resort. The softer silicone ones are a bit more comfortable and actually great for sleeping. Like in an airplane or next to a snoring lover. These are your ear’s ultimate bodyguards (la la la). And what they say is true: when it’s good it’s not cheap. These customized otoplastics are made of plastic that is cast of a mould of your auditory canal, they fit perfectly and don’t ‘leak’ sound. You can choose the filter protection between different dB levels and types of use. And the sound filters are great at keeping out dangerous noises but allowing the ones you need for music or talks. These plugs are perfect for performing musicians, motorcyclists, people working in nightlife, or just anyone who…. can afford them. You want to work in silence: earplugs in. Phone rings. earplugs out. In a club: earplugs in. Talk to a handsome person: take ‘em out. In. Out. In. What if you could adapt the amount of muting of your earplugs to the occasion? Well, with Knops you can. Choose total silence, or different levels of protection, simply by turning the switch. A real life volume button for your ears. The flexible next level hearing protection coming your way soon, great for any situation.